In the realm of cross country running, Garrett Heath is the undisputed king of Holyrood Park. The American maintained his unbeaten record at the Great Edinburgh XCountry on Saturday and not even multiple world and Olympic champion Mo Farah could break his stranglehold on the event. Farah was, naturally, the strong favourite to win. Yet on the soggy turf of the Scottish capital Heath has the Midas touch and he sped away to complete a hat-trick of victories on the course ahead of a flailing Farah. » Heath’s record at Holyrood Park is remarkable, with 4km wins in 2014 and 2015 ahead of athletes such as world 5000m and 10,000m record-holder Kenenisa Bekele and world 1500m champion Asbel Kiprop. » On the track, Heath is no mean athlete. He placed fourth in the ultra-competitive US Championships over 5000m last summer and has bests of 3:34 for 1500m, 3:51 for the mile on the road, 7:37 for 3000m and 13:16 for 5000m. » The 30-year-old has a winning habit at other Great Run events – for example he won the mile at the Great North CityGames in 2013. » Not only does Heath love the rough ground of Holyrood Park, he has a background as a cross country skiing champion in his native Minnesota and he feels that background gives him a great affinity with challenging cross country running courses. » Farah is the world’s No.1 distance runner on the track and over half-marathon but new year cross country encounters traditionally throw up results that turn the form book on its head. » The Olympic track champion hasn’t raced since the Great North Run in September and was unsure of his form and fitness after a quiet period of early winter training. Heath and Farah know, though, that when 2016 draws to a close few people will remember what happened in Edinburgh compared to the all-important Olympic results from Rio. “Rio is the big goal and when it comes to starting the year then this is as good as it gets,” said Heath, who will now head indoors for a short season on the boards that includes the mile at the Millrose Games in New York. Similarly, Farah heads to Ethiopia for a five-week spell of altitude training before returning to race indoors in Glasgow in February followed by a spring half-marathon in either New York, Lisbon or Cardiff – the latter being the venue of the IAAF World Half Marathon Championships. As the athletes head into the summer, Heath must decide whether to target the 1500m or 5000m at the US Olympic Trials. Farah’s decision is easier, as he simply wants to defend his Olympic 5000m and 10,000m titles. For now, Heath is the king of Holyrood Park. But who will reign in Rio? Farah’s Olympic preparations are unlikely to be dented by Saturday’s defeat, while Heath is an athlete on the upward curve with a rich potential on the track that he is perhaps close to fulfilling. 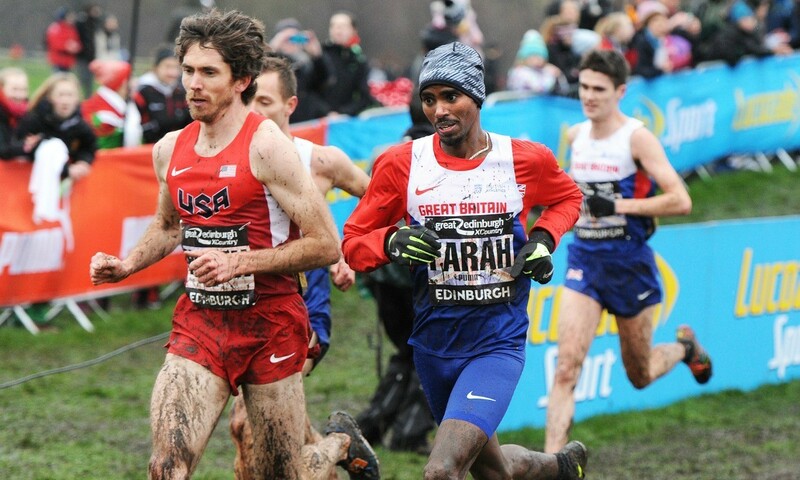 Opinions vary on what the rest of 2016 might have in store for the cross country competitors in Edinburgh this weekend, but surely no one will argue with the American’s desire to bring cross country back on to the Olympic stage.